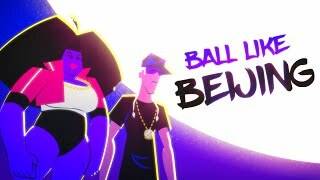 //Powerhouse Animation combined forces with the phenomenal producer Bionik to create a music video for his killer track “Ball Like Beijing” Ft. Lizzo. Doing what we do best, Powerhouse turned Lizzo & Bionik into animated renegade vigilantes and made a punchy music video out of their nighttime crime fighting. Bionik gave Powerhouse a loose narrative, but otherwise allowed our crew plenty of creative freedom. Our artists first created the bold colorful style, developing character designs and then visual elements for the scenes. From there, we combined everything into an animatic where each scene & characters’ movements corresponded to various beats and lyrics from the song. Our team finalized the piece in Adobe Animate and After Effects, utilizing several techniques for beautiful lighting, moving patterns, and stylish visuals. We are super proud of how this music video came out, so check it out!